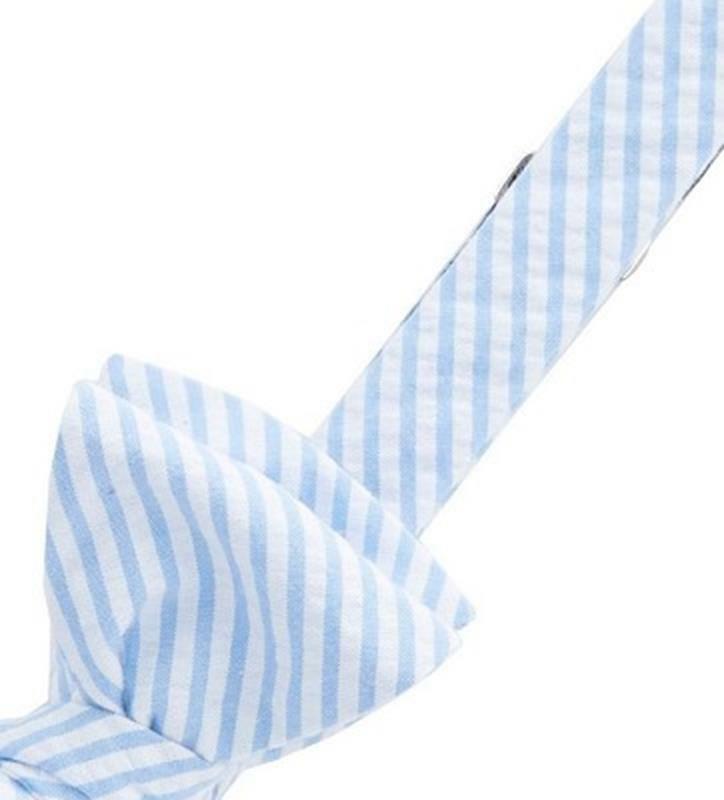 From the Official Vineyard Vines ™ Kentucky Derby 2016 Collection, a 100% imported printed silk bowtie. Handmade in the USA. 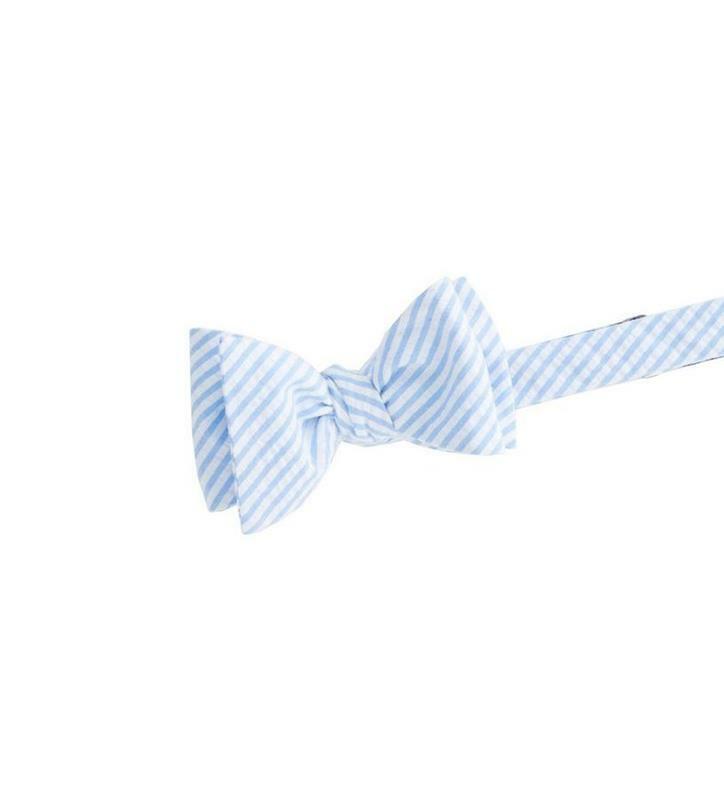 Printed with a classic seersucker stripe print. Available in light blue.